Compatible with SportDOG In-Ground Fence™ systems. 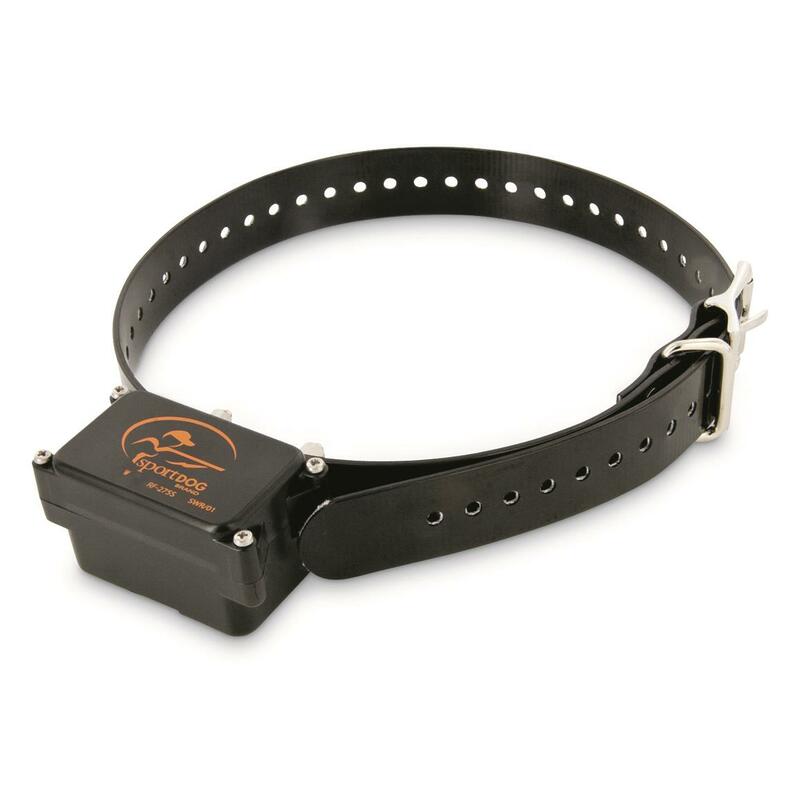 Add another dog to your existing SportDOG Brand® In-Ground FenceTM system (not included), or replace a collar with this Add-A-Dog® Receiver. The In-Ground FenceTM system is expandable to any number of dogs over 10 lbs. SportDOG Brand In-Ground Fence Add-A-Dog Collar is rated 3.5 out of 5 by 50. Rated 5 out of 5 by Chris T from Works Great I've had the system way over 10 years. Only time it has failed is when I accidentally cut the wire. I've had to replace a few receivers, because dogs will be dogs. But that is to be expected. Rated 4 out of 5 by Anonymous from Great product overall, receiver issue is the only downfall Purchased the SDF1A a year ago and have had no issues with exception to the receiver units breaking. I have two labs that wrestle around a bit, but nothing that should damage these receivers the way they were. First one broke in half near the seem about 3 months in and the second one lost a corner about 6 months in. Luckily I was able to part out the other collar to repair the second one. I purchased through Amazon and didn’t think a warranty was an option. Called customer service on a whim to see if there were alternative receivers, or if the current ones had been upgraded. They were very informative and stated they are aware of the issue and always working to better improve their products. I give two thumbs up for customer service, which is rare these days. I’ll stand behind a company that backs their product all day long. Rated 5 out of 5 by Chris from Great Product Ive had my system for almost 4 years now. I have a Doberman that roams the yard and never leaves thanks to this unit. Very easy training using the steps provided. Most of the time I don't even have the box plugged in. He will NOT try that fence. Thanks Sportdog. Rated 5 out of 5 by Sherry from Works great! We have a chain link fence but like to have my dog join me when we are gardening or at other parts of the yard. She will go to the collar and nudge it asking to go out. It took little time to train her using the steps provided. Rated 3 out of 5 by Anonymous from Love the system, have issues with the collar The invisible fence has been fantastic for our dog, however, the collar needs to be replaced. We already purchased a new strap as our original was falling apart. Unfortunately, screws fell out from the transmitter. We put them back in a number of times, but the last time they fell out, the battery was dangling and one of the wires broke. Unfortunately, we need to purchase a whole new collar system. Rated 2 out of 5 by Erica from Great System except for the Collar I love the system. Installation was easy. My dog learned the boundary in less than week with the collar shocking him about 4 times total. I am disappointed with the construction of the collar. 3 out of the 4 screws holding the corners together came out. The outside of the housing unit came off completely and the battery was dangling from the collar. I’m not sure how to go about getting 3 replacement screws as there are none for sale via the site.